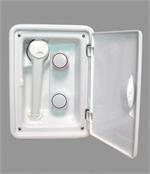 This transom shower features a high-gloss white acrylic capped ABS housing and door that hides the mounting screws. 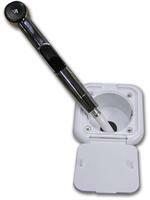 The door has an extremely durable molded hinge and combination latch/handle that keeps it rattle free. 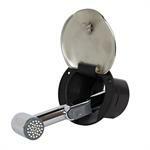 It can be mounted vertically or horizontally. 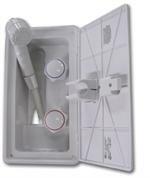 The maintenance free hot/cold mixer has white knobs with red & blue rings. 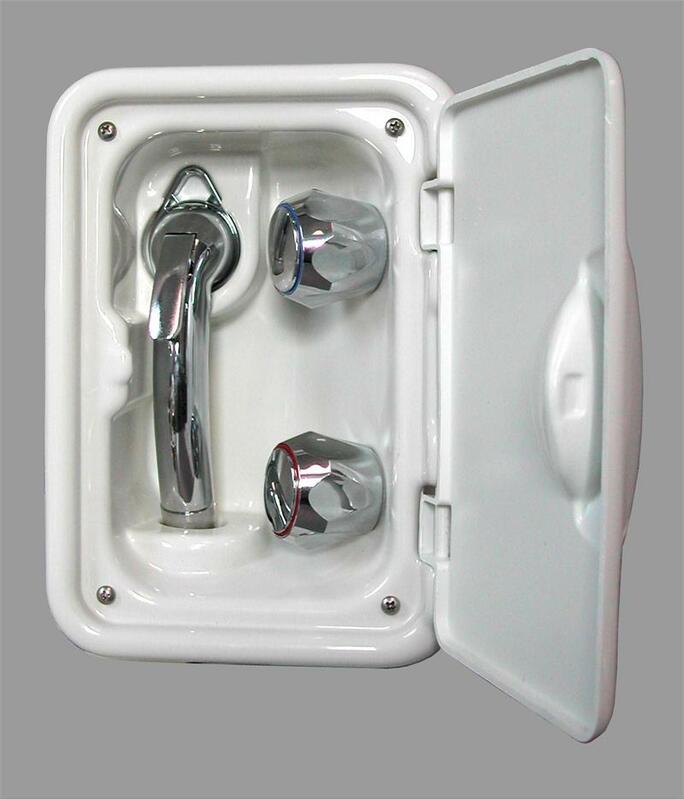 (model pictured has chrome wand and knobs which are available at a higher cost) The white shower wand can be set to shower or massage and is attached to a 10' white hose. Overall housing dimensions are 9-3/4"W x 6-7/8"H x 3"Deep. The cut out is 7-5/8"W x 4-3/4""H.
You'll need about 5" of depth behind it to make your water connections which are standard 1/2" male threads. The manufacturer of this transom shower has supplied boat builders for many years and has many different models. If your transom shower is similar but is a different size or shape, let us know and we can get it for you. 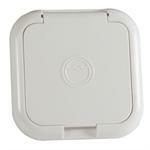 They also supply other housings, like battery boxes, trash and storage compartments, tackle boxes, drink holders, etc. We can get them all! Don't need the whole shower? We can provide replacement parts, too!